dance.net - Sophie GAGA Mclauchlan in her fab new EMBELLISH street outfit! (9699636) - Read article: Ballet, Jazz, Modern, Hip Hop, Tap, Irish, Disco, Twirling, Cheer: Photos, Chat, Games, Jobs, Events! Sophie GAGA Mclauchlan in her fab new EMBELLISH street outfit! 31 Replies to Sophie GAGA Mclauchlan in her fab new EMBELLISH street outfit! re: Sophie GAGA Mclauchlan in her fab new EMBELLISH street outfit! fab street oufit you really do stand out as i recognise you from straford comp you danced really well good luck for future comps ! wow this costume is absolutely fabulous. Go mini Gaga!! This outfit is gorgeous and it really really suits you. 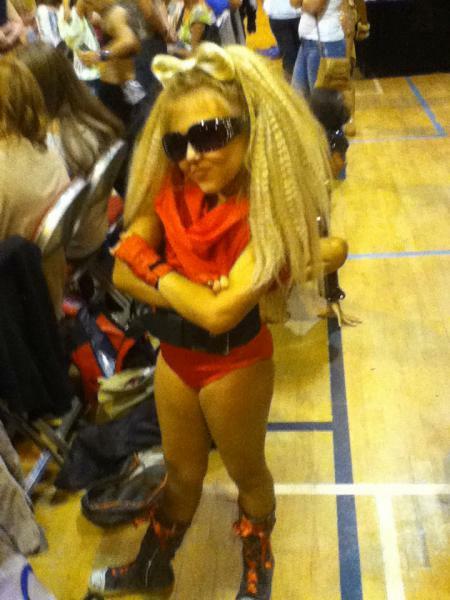 I do agree with previous comments you do look like a mini gaga..
Wow this costume is fab ..